Marty Neese, Our Chief Operating Officer from our headquarter, SunPower Corporation U.S.A. visited SunPower Philippines last week. After my former boss, Greg Reichow who was the Vice President for SunPower Philippines operations left the company, I am currently reporting to the COO while waiting for his replacement. 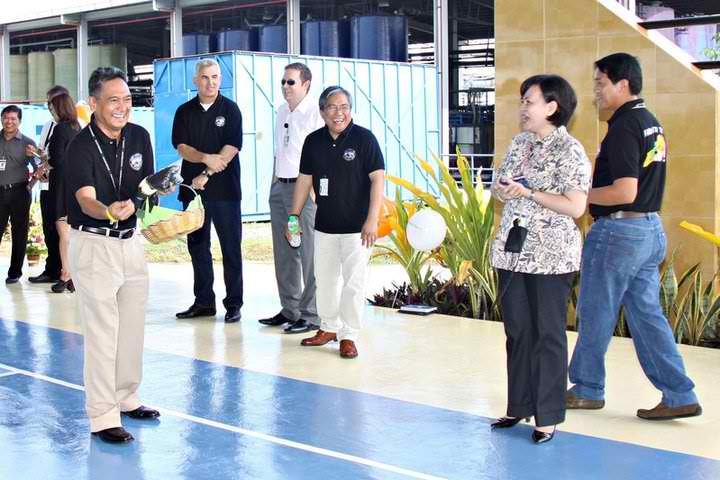 Marty was invited to the Ribbon Cutting Ceremony of SunPower Laguna Campus Covered Court to officially unveil and launch the facility last June 22, 2011. It was just a simple ceremony witnessed by some of the officers and employees of SunPower based in Fab 1, Laguna Technopark. The event started at 8:00 AM and it was good that the weather was still in good condition at that time. The Philippines was expecting a typhoon named "Falcon" that week. The construction of the covered court at our Laguna manufacturing facility was already planned long before my boss, Greg left the company and finally this had materialized. It so sad my boss is no longer with us to see it. We missed him a lot. This facility will serve as a recreational area for all employees as well as a venue for teambuildings and trainings. Thanks to the Management for providing this. SunPower is indeed a cool place to work ! After the blessing of the facility, the traditional coin throwing followed. This symbolized good luck and more blessings for the coming year so everyone must collect the coins. 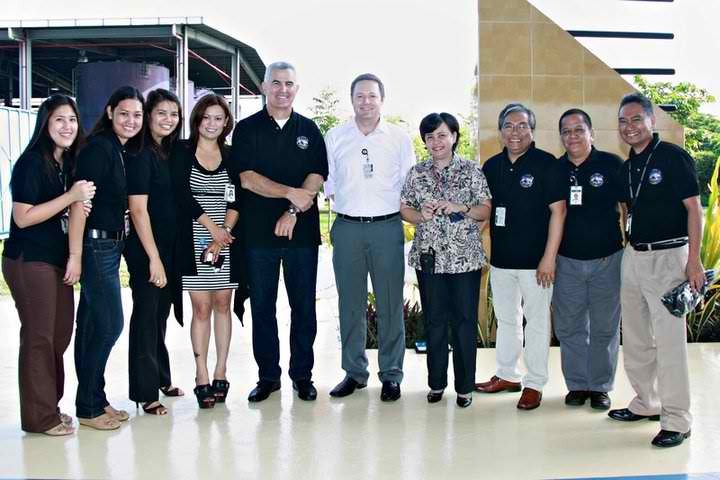 With COO, Marty Neese and other SunPower Phils. employees during the event.